Hi, there! I can't wait for everyone to get here for Thanksgiving. I just love the tradition and everyone gathered together. We're a relatively small group - we're going to have 12 this year. Soon it will be time to start brining the turkey. I tell you it makes a huge difference to the moistness of the turkey. I'm amazed at how juicy it is. Actually, I was never a big fan of turkey until we started brining it. Now I really look forward to it. You can see I'm having fun with these paper strip pumpkins again. I'm using the ones from the previous post as our Thanksgiving table placecards. What do you think about these in blue gingham? Aren't they fun? I have these sweet pilgrim children for you to download. It's the entire postcard. I just used a scallop die to cut out the kids. You can download the pilgrim children HERE. It won't be long until Visions of Sugarplums. You're going to love all the Christmas inspiration and giveaways! Get ready for the Challenge - it will begin December 6th. The theme will be Christmas/Winter. Looking forward to seeing your creations! These are very cute, Lori! 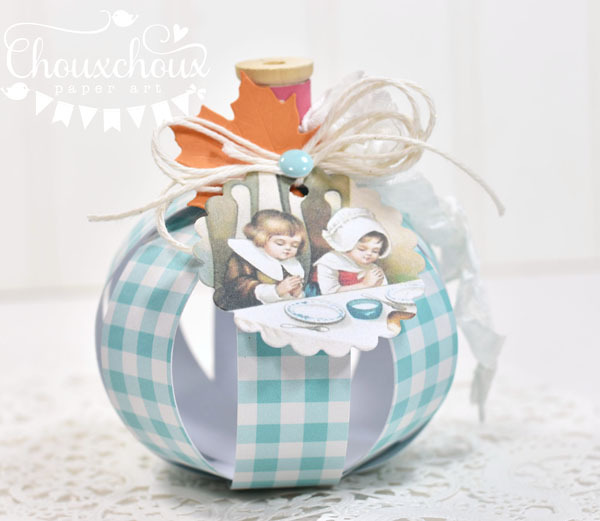 I like the blue gingham! 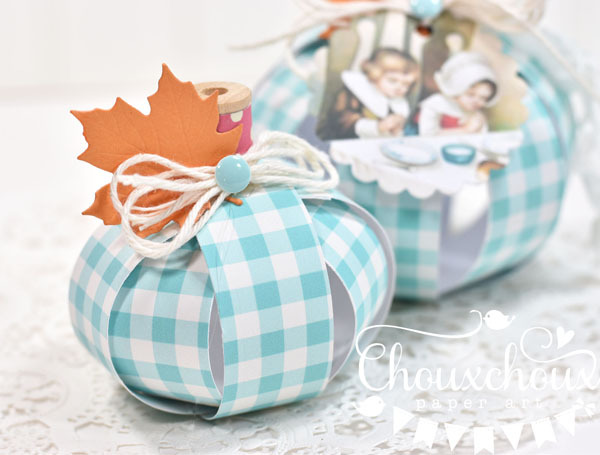 The pumpkins are darling and I love the blue gingham. Looking forward to Visions of Sugarplums. Thanks for sharing the image. 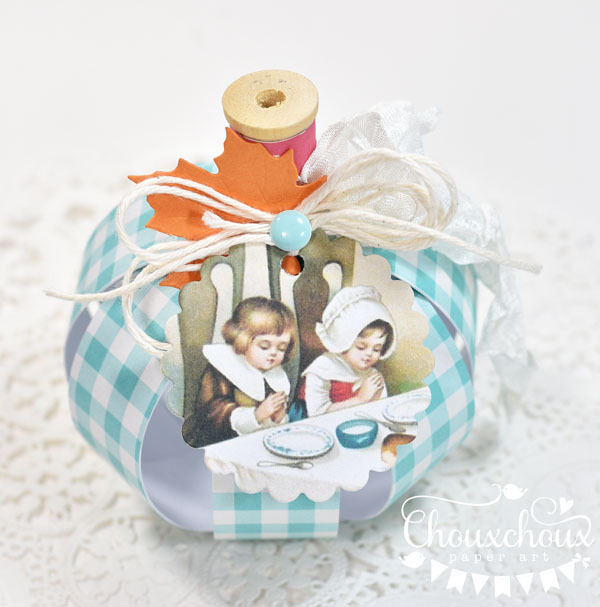 Adorable pumpkins Lori - the gingham looks just as fab as the orange card you used previously. 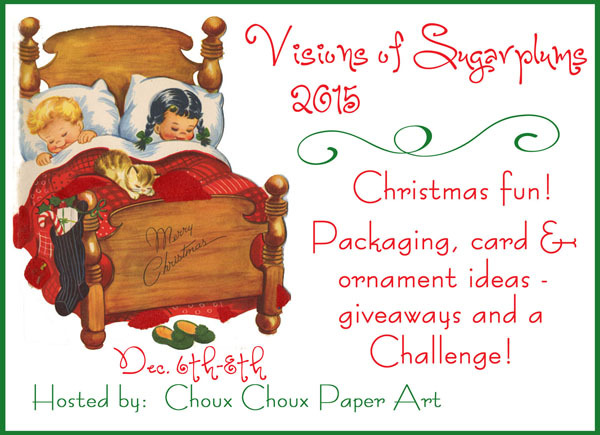 Looking forward to "Visions of Sugarplums". Really pretty Lori....love the spool! Your pumpkins are so unexpected & wonderful!